I would swap Mikaeus, the Lunarch with Enclave Cryptologist as hes kinda slow and this way you can get some more card draw going for you. Contagion Engine does not really mesh well with your deck I would swap it out for Door of Destinies and Inexorable Tide with Reconnaissance for similar reasons of improving attack ability. Add in Nykthos, Shrine to Nyx as it can be massive mana ramp, I would remove whatever land you feel you don't need to much, probably Azorius Chancery . True Conviction for Vanquisher's Banner to help keep up that card draw. I actually forgot Force of Will was originally uncommon, honestly. I'd probably not include that in my cube though. It's either ridiculous or horrible depending on the hand. The newly legal Foil seems more balanced. I can provide some examples are cards excluded due to legality. Off the top of my head, the talismans, Crypt Rats, Accorder Paladin, Miscalculation, Joraga Treespeaker, Enclave Cryptologist, and a smattering of stuff from original Ravnica and Shards block are excluded. Certainly, not all these cards are so powerful they would be excluded on that reason alone, but they are staples. Ultimately, the rule IS convoluted, but it's also key to the identity of my cube as not having access to a handful of staples means having to adapt a bit. Additionally, while masters sets have legalized many cards, having the rule in place makes masters set release season very fun for me which I enjoy. Same goes for other supplementary produ ts. That's something I want to hold on to. As for the mana base discussion, I assure you 1 person complaining is not what resulted in the issue. The issue was that cards like Boros Garrison and Wind-Scarred Crag were dead picks in draft. And I wasn't going to only provide dual lands for 7 or 8 guilds. As mentioned before, I could see an argument to banning rare lands that do more than fix mana, I.e. Celestial Colonnade and Strip Mine, as these act much more like spells than lands. But the argument of replacing Blood Crypt with Bloodfell Caves to keep the identity of my cube rings a bit hollow to me. Better mana allows for easier deck building, which also allows for a bit easier drafting. I WANT players to be able to draft red 1 drops and double white 2 drops. I think being able to do so helps balance the aggro decks against the green/white midrange decks that can easily support a deck with more color pips. Now I can understand if you'd disagree with that sentiment, but I'd have to agree to disagree there. carpecanum on Pir & Toothy Counters Party! 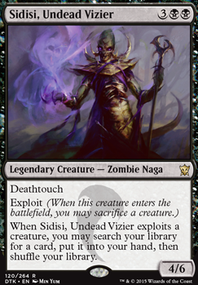 Pir adds to any counters, not just +1 counters. Hi ThaneGarrus. The Level Up counters stay on Lazav even if you copy another creature, and the counters will work with any copy. (i.e. Copy Enclave Cryptologist, level up until level 7 and copy Lighthouse Chronologist at a opponent's end phase in order to score an extra turn). Maybe splash some white for Ranger of Eos to grab the Permeating Masses and maybe throw in some Mausoleum Wanderers as other targets and additional protection instead of running Vines of Vastwood. 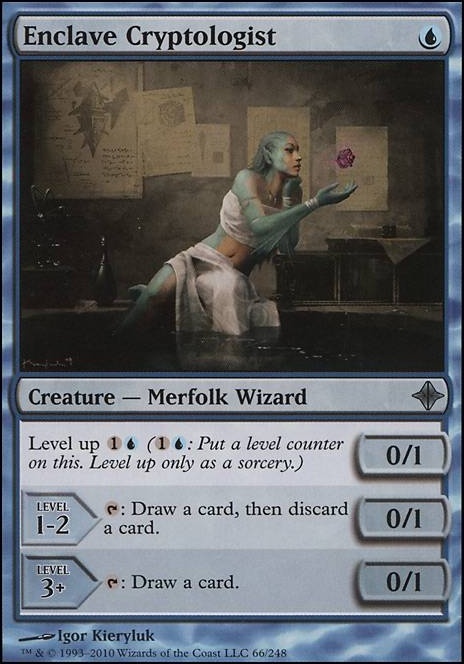 Thraben Inspector and Enclave Cryptologist would be decent ways to draw some more cards as well. Negate - Just such a good counterspell, can maybe go in sideboard for non-creature heavy matchups. Can easily be a mainboard card too if you can find the room. Voidmage Prodigy - I'll be honest, I didn't know this card was modern legal until I looked it up, and I think it's almost an auto include in my eyes. Repeatable Counterspell? Me likey. You can sac wizards that have used up most of their usefulness in their etb effect, and since you have no flicker/bounce, they're basically Counterspell now. 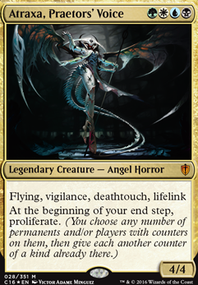 Also morph is a fun as hell mechanic even though they will know that it's 100% a Voidmage Prodigy since what other morph card would it be. I know this card is a monster in wizard tribal in commander, and now that I know it's modern legal... This is gonna be fun. Cryptic Command - Since you're mono-blue, the UUU means nothing to you, which makes this card even stronger. Maybe the 4cmc would be a problem if you're trying to go really fast, but I still think it's definitely worth the consideration. It can also synergize with Venser, Shaper Savant, because if you leave that 4 mana open, you can cast either or, depending on whatever situation pops up. 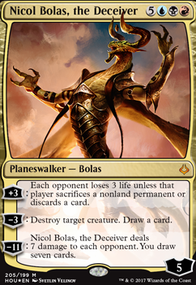 Some other cards in your maybeboard I think are fun, are Baral, Chief of Compliance, Sigil Tracer, and Disallow. One card that came to mind (surprise it's also in commander) is Enclave Cryptologist. 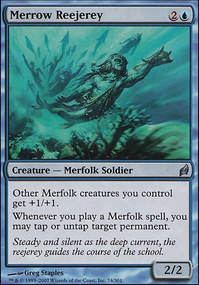 I really like this card, and I really want to see it played but I really don't know if its just too slow or what. It's probably just me trying to defend a bad card, but I just can't help it, I love it.